“A friend of ours, back from a visit to Mexico, brought us a delightful privately printed cookbook: Villa Montaña Cuisine by Ray Cote…Raymond Cote, the…owner of Villa Montaña, does magnificent things with food.” (from an article in The Times Daily of Florence, Alabama on September 6, 1972). Villa Montaña was and still is a resort hotel in the hills outside the city of Morelia in Central Mexico. 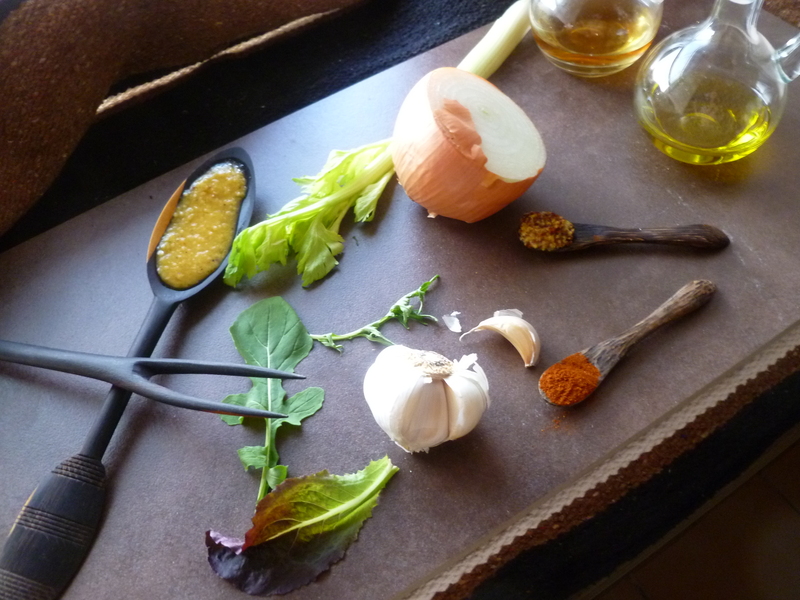 The key to a salad à la Villa Montaña is in Mr. Cote’s vinaigrette. 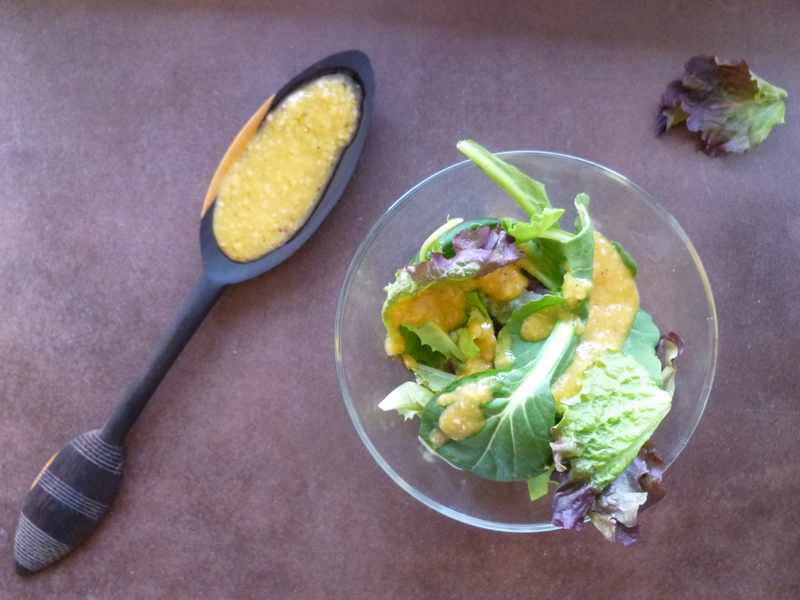 Any combination of lettuces dressed with it will make a salad of unfussy elegance. 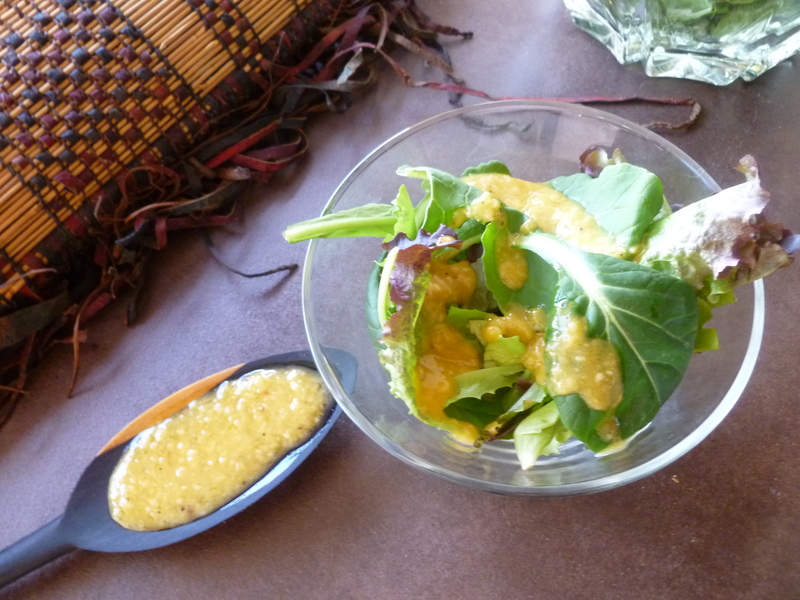 A Timing Note: The dressing may be rapidly put together right before arranging the salads. But it is also fine to make it several hours ahead of time, store it in a glass jar in the refrigerator, bring it to room temperature (or not) and shake it vigorously just before using it. 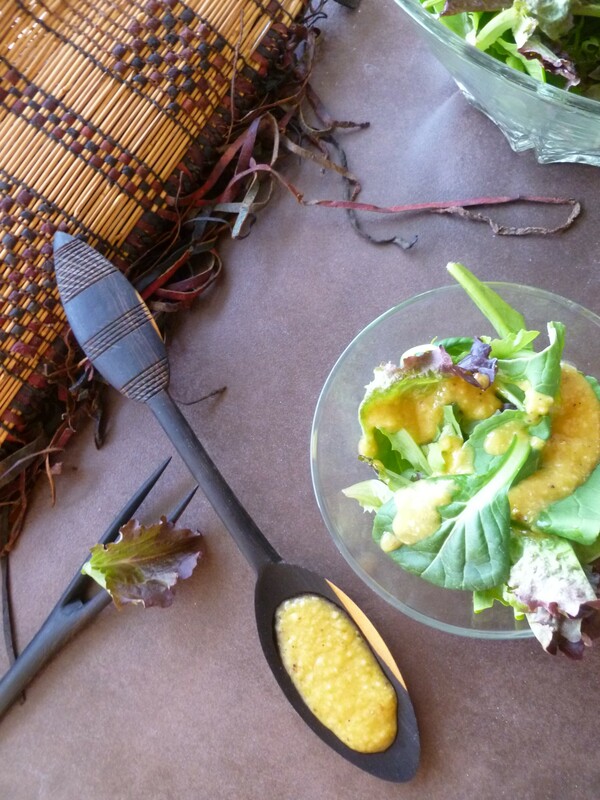 Refrigerated (especially when stored in a glass container), the vinaigrette keeps well for at least a week. 1. Wash and dry the salad greens. If you are not making the salads right away, roll the greens up in a cotton towel and place them in the refrigerator. 2. 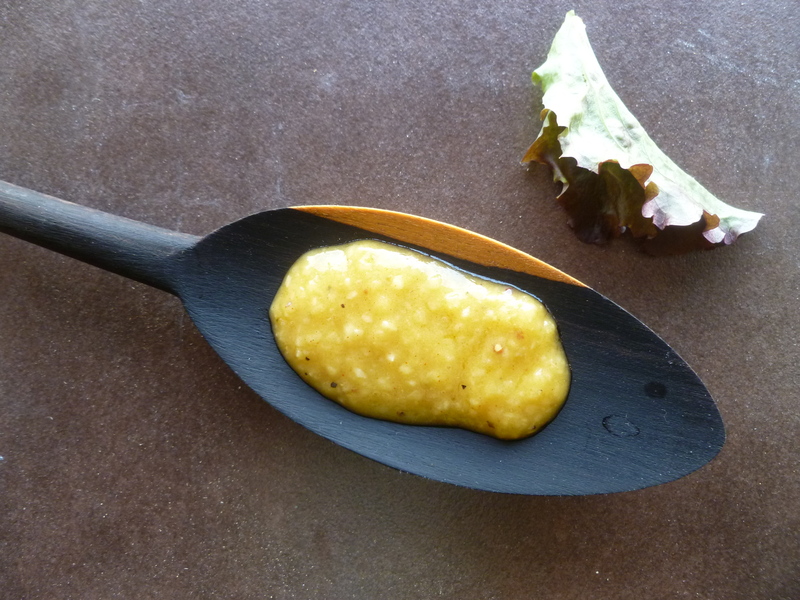 To make the vinaigrette, place the onion, garlic cloves, mustard, paprika, black pepper, salt, sugar, cider vinegar, celery and water in the food processor or blender and process until the mixture is fairly smooth. 3. Still processing, slowly add the oil in a stream and blend until the mixture emulsifies (i.e., the water and oil combine). A Note: Salad Villa Montaña is the Salad Course of the Dinner Menu: Dinner at Journey’s End. The recipe is adapted from one that appeared in an article in Gourmet (November 1989). A Second Note: Photos of Hotel Villa Montaña are here on the hotel’s website. A Request to Readers and Cooks: A subscriber has requested advice on making Orange and/or Lemon Marmalade. Her question is posted in the diplomatickitchen’s Ask and Tell feature. Your good recipes for either of these marmalades will be greatly appreciated. 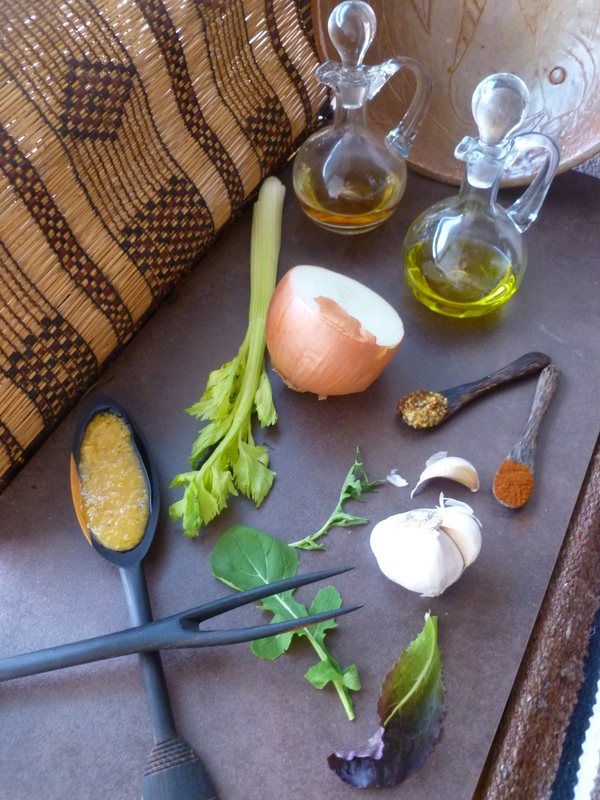 You are invited to go to Ask and Tell and contribute your version of this recipe.